El 22 de mayo de 2018, en el Comité Europeo de las Regiones, el IES Valle de Aller (Asturias) recogió su diploma de finalista por su plan sobre la importancia de la educación para el desarrollo sostenible. 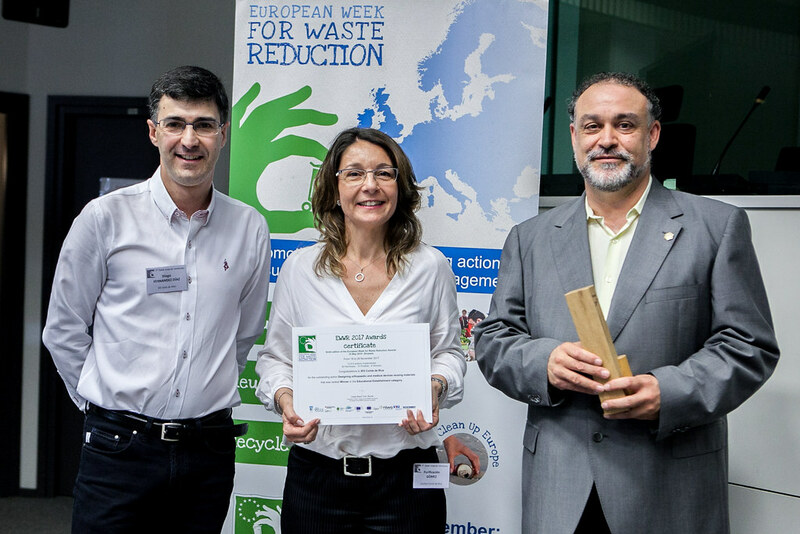 “In the Educational Establishment category the winner is Designing orthopaedic and medical devices reusing materials, implemented by IES Comte de Rius (Catalonia, Spain). 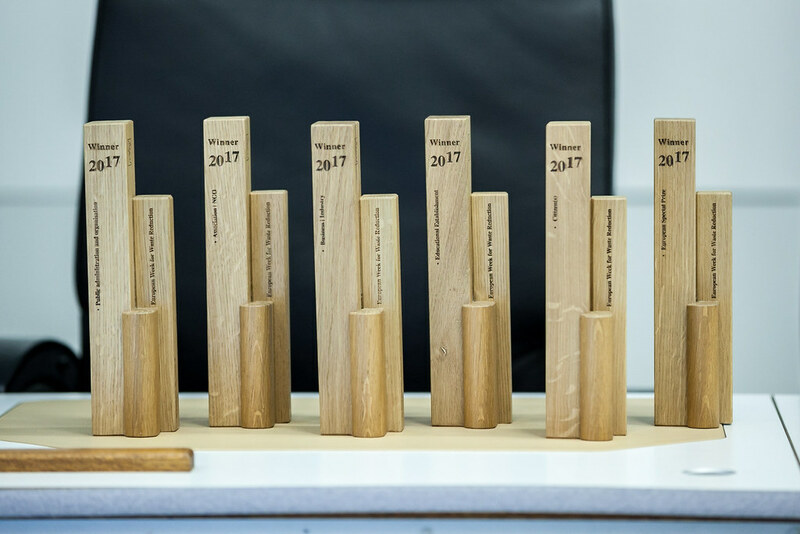 The finalists are Schools Soup-a-thon, implemented by Carluke Primary School/Chefs @ Schools (Scotland, United Kingdom) and Sustainable development begins with education, implemented by IES Valle de Aller (Asturias, Spain)“. “The Asturian project comprised of a series of simple, practical and useful activities intended to raise awareness about the issue of waste. Additionally, it aimed to promote the 3Rs approach: reduce, reuse and recycle as well as encourage pupils to use it in their daily life. Firstly, a campaign fighting against obsolescence and promoting recycling and reduction was carried out. Secondly, the school took some action to start reusing paper as well as promoted reuse in general by organising a collection campaign of used clothes and toys to be donated to the EMAUS association. Lastly, sustainability topic was addressed in the canteen at school, by encouraging the use of local products, banning the packaged juices as well as pastries cooked with palm oil”. 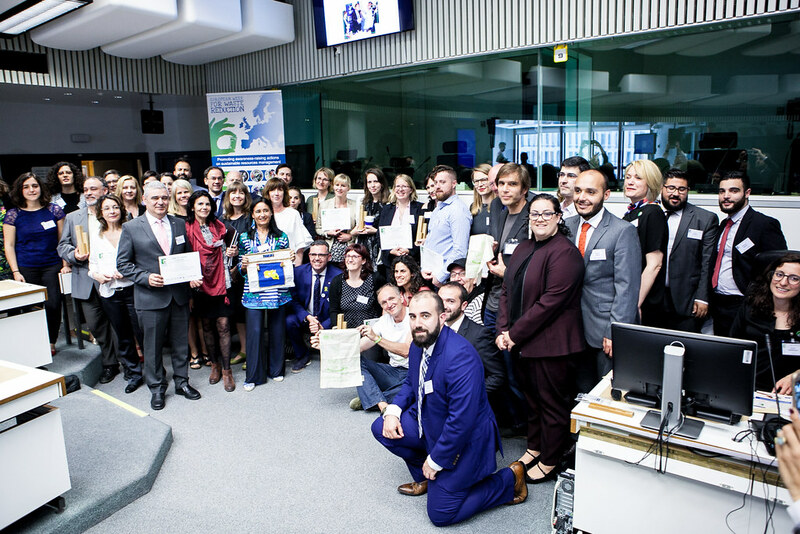 “The EWWR 2017 Awards Ceremony took place on 22 May 2018, at the European Committee of the Regions in Brussels. There, the greatest Action Developers of the last EWWR edition were rewarded by our distinguished Jury. 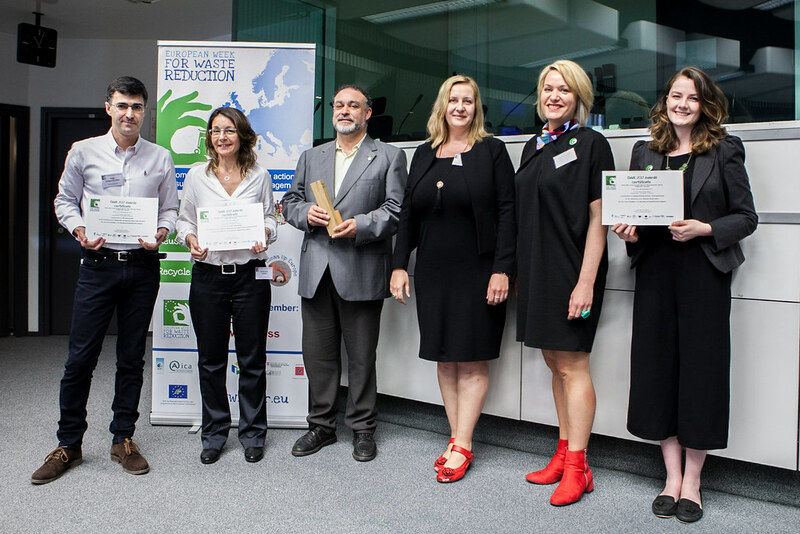 The 9 th edition of the EWWR Awards Ceremony was organised during the EU Green Week in presence of many EWWR Coordinators and Action Developers. 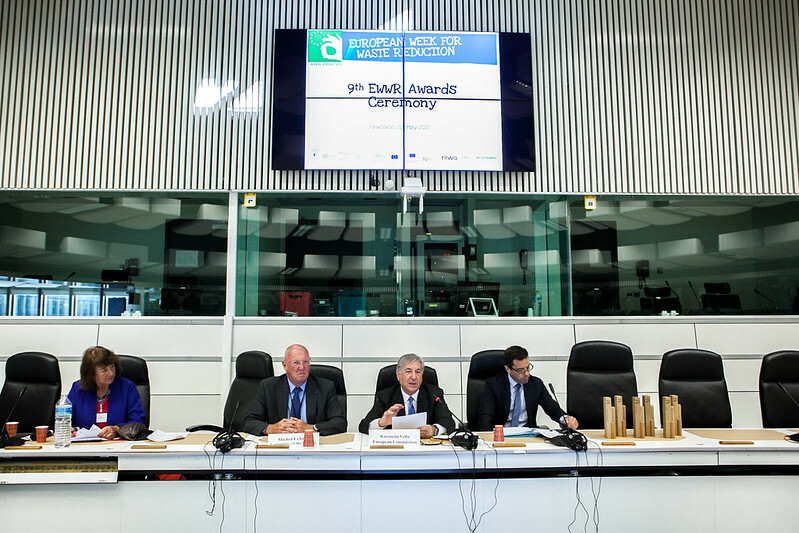 The Commissioner for Environment, Karmenu Vella, Michel Lebrun (Head of the Belgian Delegation, Committee of the Regions) and Josep Maria Tost i Borràs (ACR+ President) opened the Ceremony and welcomed the participants to this great EWWR celebration”. “The European Committee of the Regions (CoR) is the European Union’s assembly of regional and local representatives. 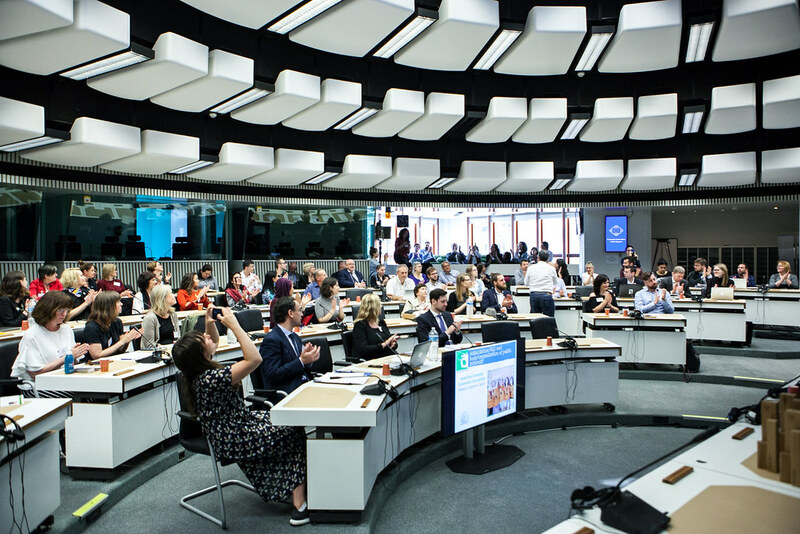 It is composed of 350 members – regional presidents, mayors or elected representatives of regions and cities – from the 28 EU countries. 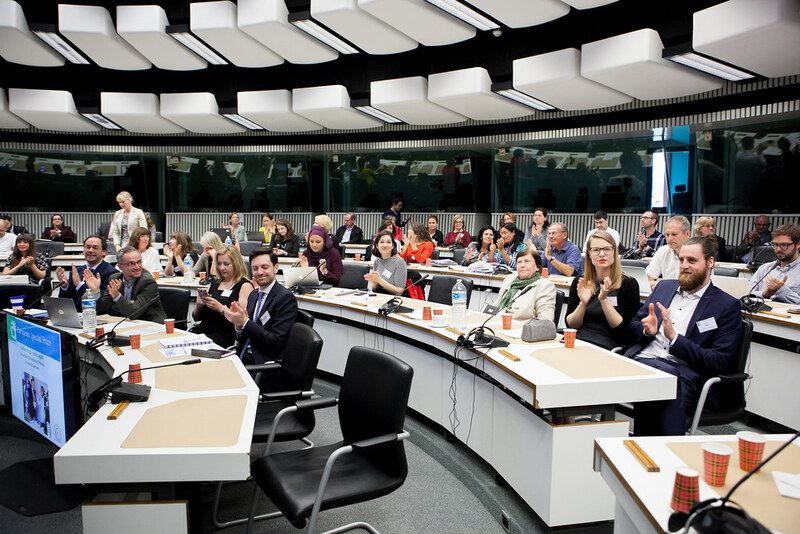 Since its establishment more than 20 years ago, the CoR has been working to bring citizens closer to the European Union. The CoR is entitled to express its views on all major issues of local and regional relevance”.  13,410 actions implemented – New Record!